If you've been looking for a better way to get around the Bay Area, look no further than the all-new 2015 Subaru Outback. 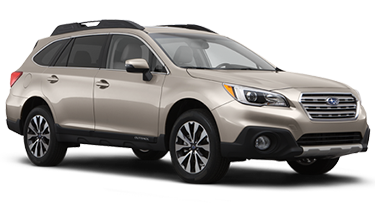 With Symmetrical All-Wheel Drive, abundant cargo space, and a great selection of features, the all-new 2015 Subaru Outback is an easy choice. Even when compared to a competitive vehicle like the 2015 Toyota Highlander, you can't pass up the versatile 2015 Subaru Outback. To learn more about this great vehicle, just keep reading. Then, contact us at Carlsen Subaru to schedule a test drive! The design of the all-new 2015 Subaru Outback is truly one of kind. 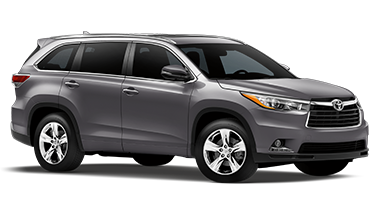 Sure, you could settle for the standard SUV design of a vehicle like the 2015 Highlander. Or, you could step up to the truly bold architecture of the 2015 Subaru Outback. The design of the Subaru Outback is based around the balanced symmetrical drivetrain layout, Boxer engine with low center of gravity, and comfortable cabin. You'll get more cargo space with the seats up when you choose the Outback. With standard all-wheel drive and fantastic fuel economy, the all-new 2015 Subaru Outback is fun to drive. All-wheel drive is an available upgrade for the Toyota Highlander but it can't match the hill conquering Subaru Symmetrical All-Wheel Drive. Powering this incredible drivetrain is an efficient four-cylinder Boxer engine paired with a continuously variable automatic transmission. An available six cylinder gives the Subaru Outback 256 horsepower for assertive acceleration on highway ramps and daunting ascents. If you need a vehicle that dares to go anywhere, choose the 2015 Subaru Outback. Now you can focus on the road thanks to state-of-the-art safety equipment and features of the all-new 2015 Subaru Outback. Both vehicles come with safety features like traction and stability control and antilock brakes but the Subaru Outback truly stands out with the available EyeSight system. Subaru EyeSight is the set of eyes in the back of your head you wish you always had. In addition to EyeSight, you'll love special Subaru Outback features like the StarLink multimedia interface, Aha smartphone apps, and much, much more. See these great features and more in person when you check out the 2015 Subaru Outback. At Carlsen Subaru, we want to take the stress out of the new car buying experience. That's why we're happy to provide you with the information you need on our new vehicles. After learning all you can from our new model pages, we recommend checking our full new model inventory as well as our new Subaru special offers. Subaru vehicles are designed to last longer so check out the great deals in our Subaru Certified Pre-Owned Vehicles. We're proud to keep your vehicle in the best shape for a great price with our service discounts and special offers on Subaru parts. Are you ready for more information? Contact us today at (888) 520-5916 and stop by our location at 480 Veterans Blvd, Redwood City, CA 94063, near San Mateo and Fremont, CA. We look forward to earning your business at Carlsen Subaru!